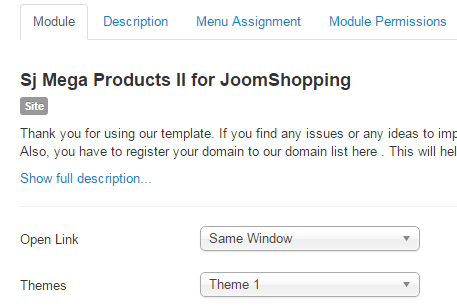 This guide will help you install SJ Mega Product II for Joomshopping step by step. 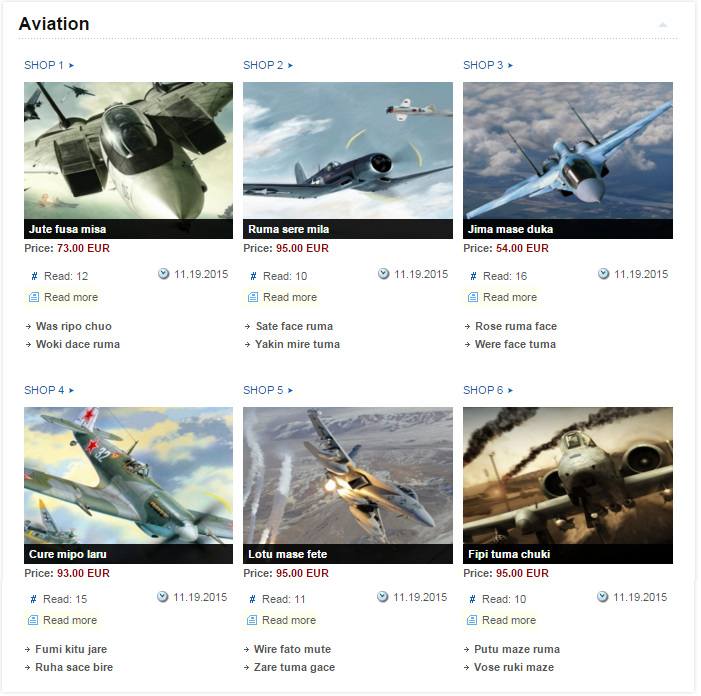 Themes – Allow to choose one from 4 themes. Categories – Choose categories source to be used with. Product Order By – Allow to choose the criterion for order. 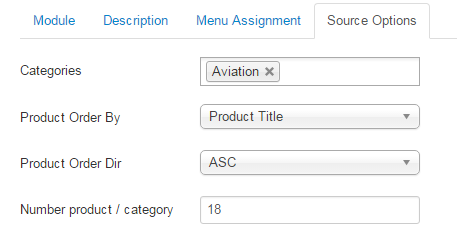 Product Order Dir – Set direction to arrange order: ascending or descending. Show Sub Category Link – Allow to show this link OR not. Show List SubCategory – Allow to show this link OR not. 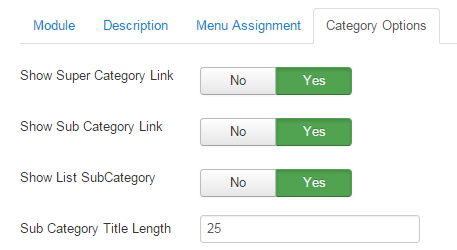 Sub Category Title Length – Allow to set subcategory title length. Title Maxlength – Allow to set the length of products’ title, set -1 for unlimited. Show Descriptiony – Allow to show products’ description OR nott. Description Maxlength – Allow to set the length of products’ description, set -1 for unlimited. Tooltip Width – Allow to set tooltip width. 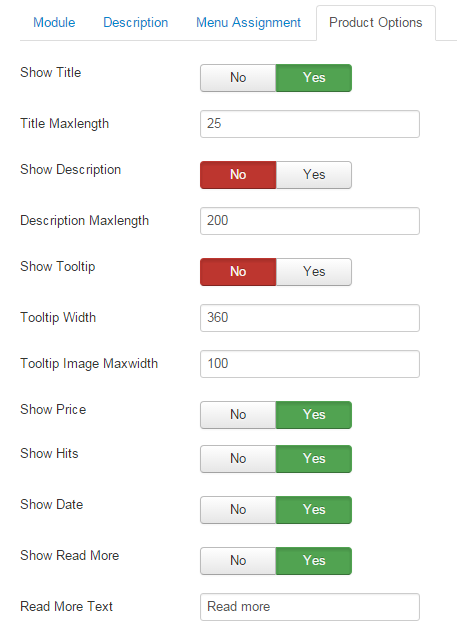 Tooltip Image Maxwidth – Allow to set maxlenght for tooltip image. Show Price – Allow to show price of products OR not. Show Date – Show created date of products OR not. Show Readmore – Allow to show read more button to products’ detail OR not. Readmore Text – Set text for Readmore link. 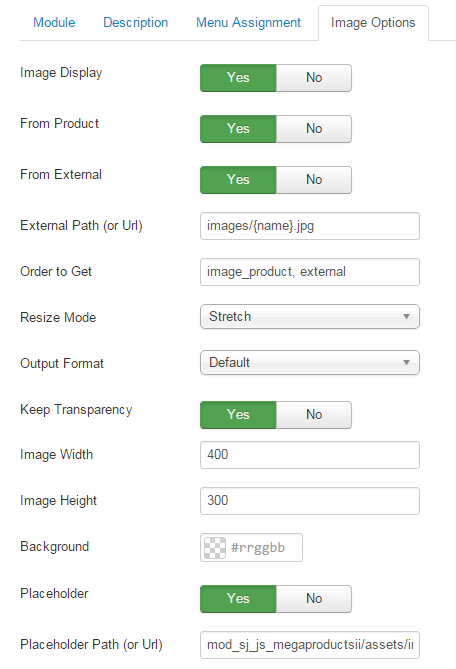 Image Display – Allow you display image of Item. From Product – Allow to get images from Product. From External – Allow to get images from External. External Path (or Url) – The path or URL of Default Image. Placeholder – The default image. Applied for article has no image. Place holder Path (or Url) -The path or URL of Default Image. 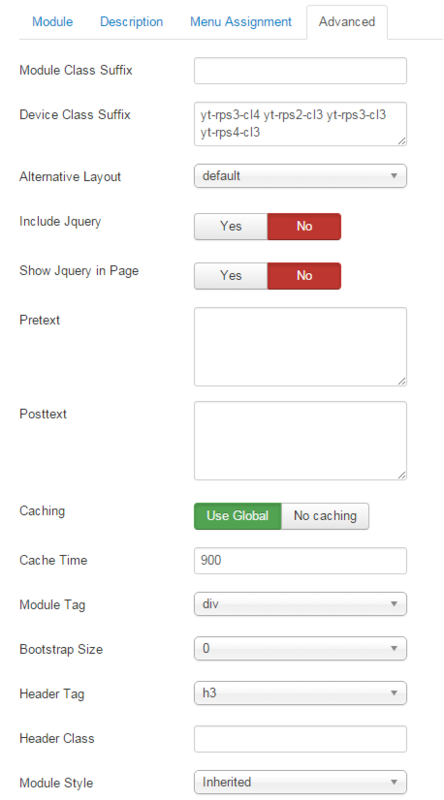 Show jQuery in pages – Use jQuery for this module or not.